Michael Taxin is General Counsel & Vice President, Operations with RKF, responsible for all legal matters on behalf of the company, including the drafting, review and negotiation of all contracts; corporate formation; licensing; employment issues; intellectual property and litigation. He also assists with the company’s brokerage operations, including the supervision of the RKF Canvassing Program, which is the initial stage of training for new broker recruits. Michael joined the company in 2005 as the Director of Business & Legal Affairs, and was promoted to Vice President in 2009 and to his current title in 2013. Michael is a frequent speaker on brokerage related topics at the International Council of Shopping Centers (ICSC) Law Conference, and has published articles with the American Bar Association; Retail Law Strategist; New York Law Journal; and Fordham Intellectual Property, Media and Entertainment Law Journal. 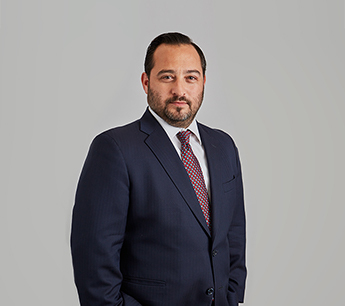 Prior to joining RKF, Michael worked for law firms in New York City where he focused on real estate and corporate matters, as well as for the in-house legal department of Major League Soccer. Michael received a Juris Doctorate from Fordham Law School and a Bachelor of Arts from The S.I. Newhouse School of Communications at Syracuse University. He is a licensed real estate broker in the State of New York and the Commonwealth of Massachusetts, and is a member of the New York State Bar Association, American Bar Association, Real Estate Board of New York and International Council of Shopping Centers.